One of the world’s biggest sweetwater Lake, which is the witness of the ancient Armenians history, is situated in the mountainous pond of Sevan. The magic beauty, the unique flora and fauna, the magnificent nature of the Lake are very appealing to those who visit Sevan. This ancient tectonic Lake is famous for its endemic fish type – Sevan trout. It isn't an accident that every Armenian is proud of Sevan. Everyone's duty is to preserve and pass the historical value inherited from the nature to future generations in a better condition. “The fund of restoration of stocks of Sevan trout and development of aquaculture” is created to preserve the unique ecosystem of the Lake, to restore the stocks of endemic types and to solve the key problems of the Lake. Through its activities, the Fund will contribute to restore the lake’s ecosystem, develop the economy of Armenia and increase competitiveness of domestic high quality products in international market. Using economic and ecological joint model for the restoration of Sevan’s ecosystem, the Fund will create the whole value chain of fish production; as a result the amounts will be directed to implement environmental programs. 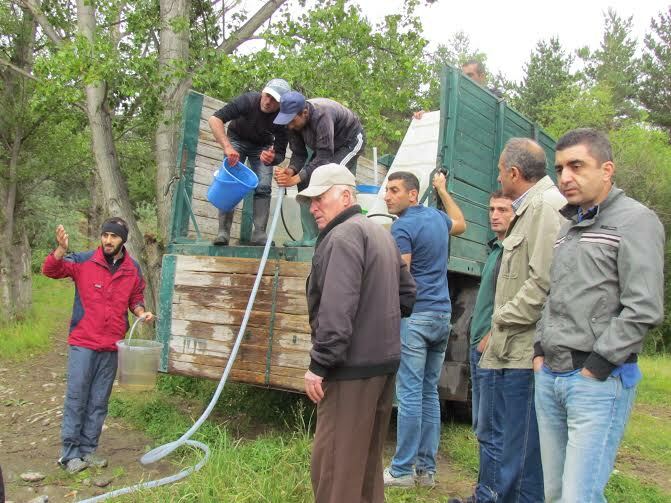 Within the framework of the complex program “Recovery of trout stocks and fish breeding in Lake Sevan” the Fund of “Restoration of Sevan trout stocks and development for aquaculture in Lake Sevan” continues, since 2016, to release fingerlings. On 16th of September 2016 the forth batch of this year was released into Lake Sevan; around 215.217 Summer trout subspecies fingerlings, each on average weighing 0.23 gram. 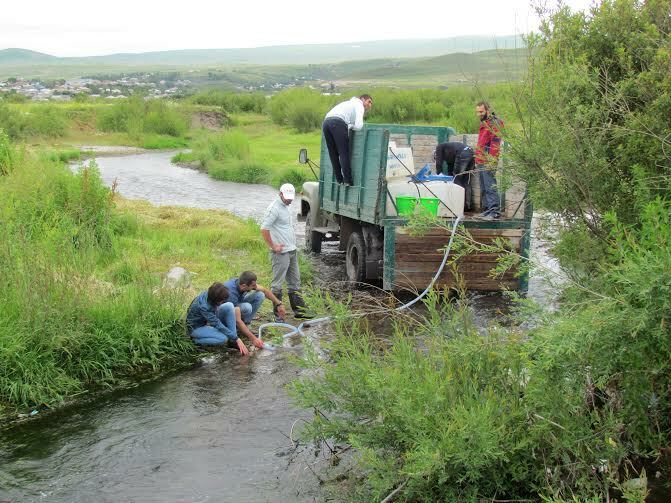 The fingerlings were released where the river Mastik, downstream, near the estuary around 2.5km from Lake Sevan, which is the main spawning place for the fish. Thus, as of 16.09.2016 the Fund has released around 920.693 fingerlings in the rivers leading to Lake Sevan. The Fund implemented the release of the fingerlings along with the staff (Commission) established by the decree of the Minister of Nature Protection. The release was, once again, done based on extensive studies and recommendations. Within the framework of the complex program “Recovery of trout stocks and fish breeding in Lake Sevan” the Fund of “Restoration of Sevan trout stocks and development for aquaculture in Lake Sevan” adhering to its goals since 2016, continues to release fingerlings. On 11th of July 2016 the third batch of this year was released into Lake Sevan; around 282.900 Summer trout subspecies fingerlings, each on average weighing 0.07 gram. Of the 282.900 fingerlings, 157.200 was released where the two rivers Tsakqar and Baghtak unite, leading to Lake Sevan. And around 125.700 was released in the middle part of the river Argichi, also leading to Lake Sevan. Thus, as of 11.07.2016 the Fund has released around 705.476 fingerlings in the rivers leading to Lake Sevan. Within the framework of the complex program “Recovery of trout stocks and fish breeding in Lake Sevan” the Fund of “Restoration of Sevan trout stocks and development for aquaculture in Lake Sevan” adhering to its goals since 2016, continues to release fingerlings. On 20th of June 2016 the second batch of the year was released into Lake Sevan; around 220.000 Gegharkuni subspecies fingerlings, each on average weighing 0.65 gram. 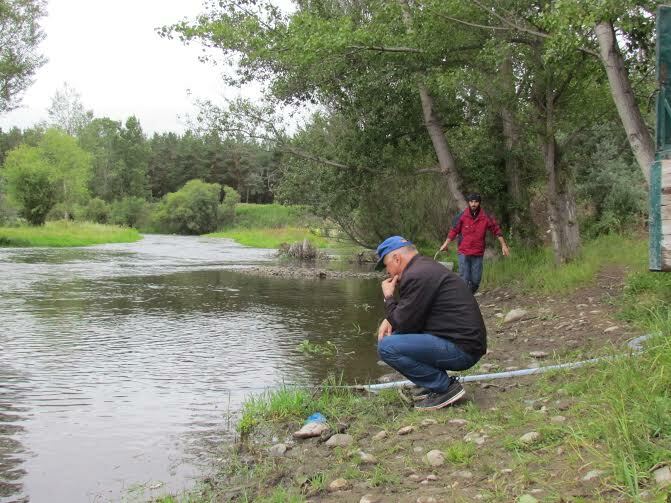 Of the 220.000 fingerlings, 60.000 was released in the lower part of the river Karchaghbyur, around a kilometer from Lake Sevan and 160.000 was released in the middle part of the river Lichk. Within the framework of the complex program “Recovery of trout stocks and fish breeding in Lake Sevan” the Fund of “Restoration of Sevan trout stocks and development for aquaculture in Lake Sevan” adhering to its goals since 2016 continues to release fingerlings. On 7 June, 2016 the first batch of the year was released into Lake Sevan; 200.000 Gegharkuni subspecies fingerlings, until 0.7 gram. The Fund has conducted research based on local and international experiences to increase the efficiency of releasing fingerlings and identified the most important criteria such as the most favorable sizes, water temperature, location of release, weather and other biological characteristics of fingerlings for being released into the Lake Sevan or rivers. Accordingly the size, weight and essential habitat for the fish as well as the time of release has been chosen. Thus, taking into account the conducted research, the first batch of this year has been released in the middle part of the river Karchaghbyur, around 4.5km from Lake Sevan. Note that since 1980 until now the release of fingerlings into the rivers of Lake Sevan has been realized for the first time. In order to reduce stress during the transfer and release of the fingerlings, the water was regularly changed (to maintain the optimum temperature of water) and the containers were saturated with oxygen. The Fund implemented all the above mentioned processes along with the staff (Commission) established by the decree of the Minister of Nature Protection. According to the Commission, the release was realized in a very effective manner, this was due to the existence of suitable habitats for fish, required shelters, optimal water temperature and the level of oxygen. In 2016 the Fund will again release fingerlings on the basis of studies held by the Commision, taking into account the size of the fingerlings, quantity, viability, biological features, environmental and economic productivity, as well as continue to study other rivers belonging to Lake Sevan. In November 28, president of RA Serzh Sargsyan conducted a working visit to Gegharkunik marz. The President of Armenia visited the fish farming complex of “Sevani Ishkhan” CJSC which is being built in Karchaghbyur and familiarized with the process of construction. 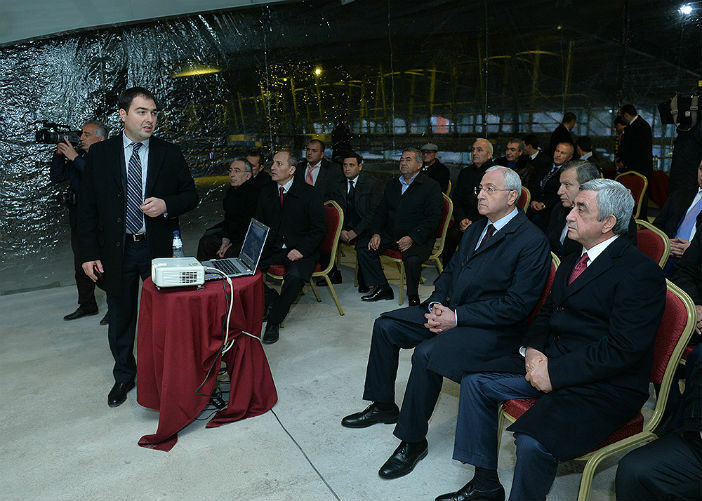 In November 28, president of RA Serzh Sargsyan conducted a working visit to Gegharkunik marz. 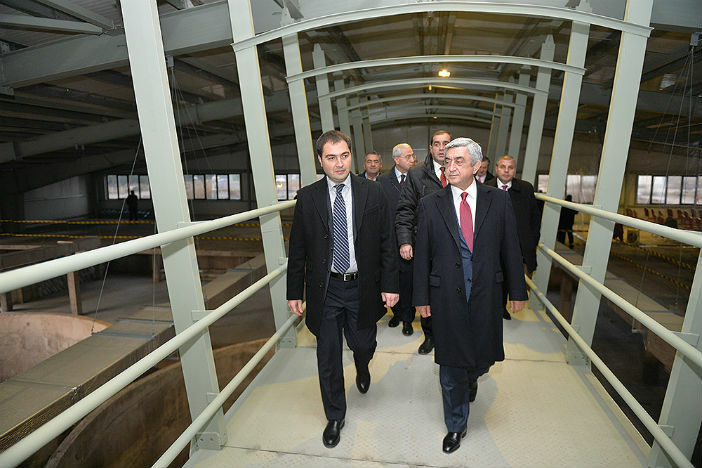 The President of Armenia visited the fish farming complex of “Sevani Ishkhan” CJSC which is being built in Karchaghbyur and familiarized with the process of construction. Discussion was held of the current issues of Lake Sevan including the works implemented for restoration of the endemic fish species and development of aquaculture. In the frame of this program, fish farming complex is being built in Karchaghbyur. Within the frame of the “complex program of recovery of trout stocks and fish breeding in Lake Sevan” in 10 July 2015, the Fund of “restoration of trout stocks and development of aquaculture in Lake Sevan” will release into the Lake about 200 000 trout till 3 gram and 160 000 fingerlings till 5 gram. Within the frame of the “complex program of recovery of trout stocks and fish breeding in Lake Sevan” in 23 June 2015 the Fund of “restoration of trout stocks and development of aquaculture in Lake Sevan” will release into the Lake 43 000 Gegharkuni and Summer subspecies till 5gram. In 10 of July, 40 000 fingerlings till 30 gram and 160 000 fingerlings till 5 gram will be released into the Lake Sevan. After the closure of the former fish farm, it is the first time that fingerlings are being released into the Lake Sevan. The place where the fish is being bred wasn’t chosen by accident as its climatic conditions are beneficial for trout breeding. The brood stock was formed passing thorough a scientific examination during the realization of pilot phase of the Complex Program, in the fish farm located on the shore of Lake Sevan. By passing thorough a scientific examination we can ensure that into the Lake is released the real Sevan trout, which is unfortunately preserved in small quantities. The abrupt hydrological changes of the Lake Sevan have influenced the Lake’s biodiversity for many times, particularly it influenced the fish species Sevani Ishkhan, which is now included in the Red Book. Now two of the four subspecies of trout are extinct, while Gegharkuni and Summer trout have survived in very small quantities. One of the principal goals of the “complex project of recovery of trout stocks and fish breeding in Lake Sevan” is to restore fish stocks and the broken ecosystem of the Lake. 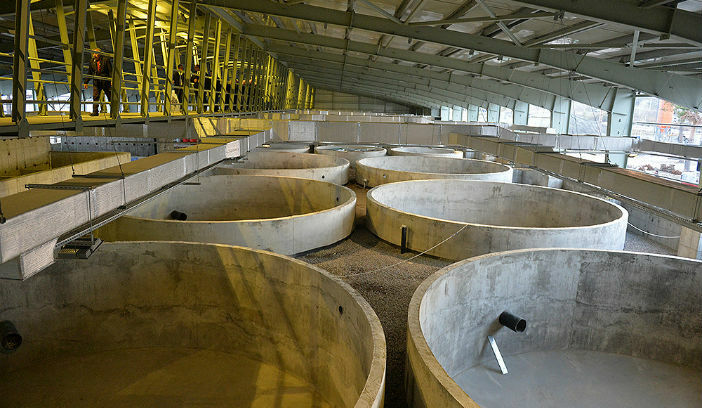 The brood stock was selected from the experimental fish farm located in Shorzha village. The broodstock selection was conducted by the commission which was formed specifically for that reason and consists of specialists from “RA NAS Institute of Hydroecology and Ichthyology”, “Sevan Natioanl Park” SNCO and “Sevani Ishkhan” CJSC Afterwards, selected samples were sent to the Institute of Zoology of Polish Academy of Sciences and they were given the highest rating. 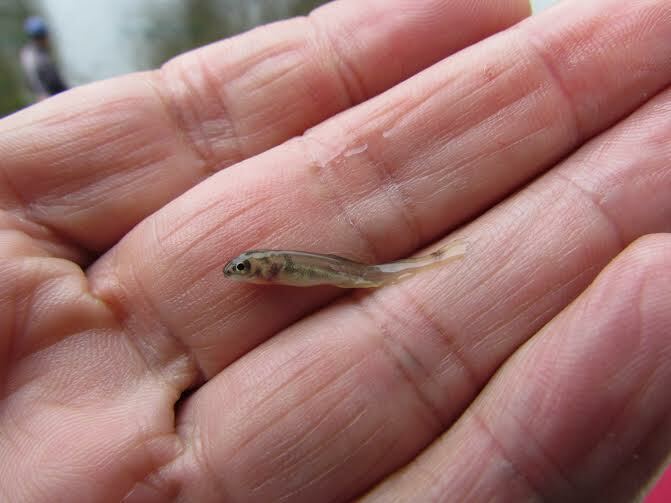 Formation of genetically pure broodstosk will guarantee the production of high-quality fingerling, as well as conservation of the two subspecies of trout. In 2016, the quantity of fingerlings will be more than one million. The Fund of restoration of trout stocks and development of aquaculture for the first time released 40. 000 Gegharkuni and Summer trout fingerlings into the Lake which weight 30 grams. The Fund will also solve Lake problems and restore trout stocks in Lake Sevan. The main goals of the Fund are; to restore trout stocks in Lake Sevan by using innovative technologies. The fingerling farm will be ready at the end of the year. It will be the main supplier of Gegharkuni and Summer trout for Lake Sevan. The Fund of restoration of trout stocks and development of aquaculture for the first time released 40. 000 Gegharkuni and Summer trout fingerlings into the Lake which weight 30 grams. The Fund will also solve Lake problems and restore trout stocks in Lake Sevan. The main goals of the Fund are; to restore trout stocks in Lake Sevan by using innovative technologies. The fingerling farm will be ready at the end of the year. It will be the main supplier of Gegharkuni and Summer trout for Lake Sevan. These kinds of events will be implemented every year and the quantity of the fingerlings, which will be released into the Lake will increase till one million. The released fingerling was created from the broodstock originated in the scope of the pilot program. Special council was established consisting of specialists of main institutional structures dealing with principle problems of the Lake Sevan, which handles the urgent issues of the Lake Sevan. It is planned to carry out researches according to which it will become clear which problems require an urgent solution. It is planned to build waste water treatment plants to decrease the quantity of waste waters, which are pouring into the Lake Sevan and clean coastal areas in order to be prepared for the water increase. It is necessary to do researches to create conditions for trout reproduction. As a result of the program more than 5000 work places will be created for the residents. “Sevani Ishkhan” CJSC began the production of fingerling last year. The company implements the production of Summer and Gegharkuni fingerling trout species. The fingerling farm provides the whole life cycle of the two endemic fingerling sub-species, beginning from the formation of the brood stock to fingerlings, which are then released into the lake. 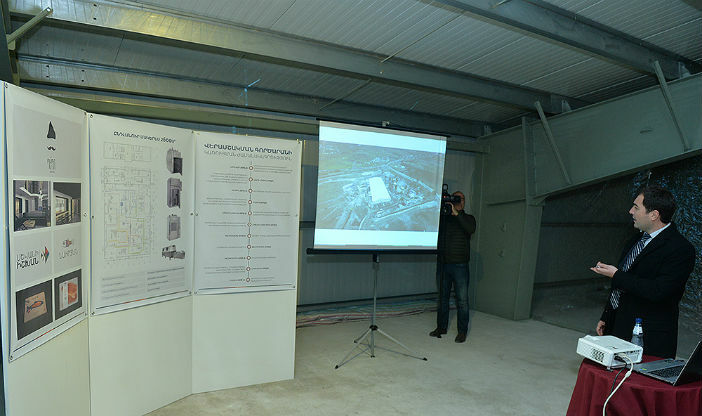 At the end of 2014, the construction of the fingerling farm was launched in Karchaghbyur. The construction will be ready till the end of the year. Before the construction of the farm, the company has intensively worked on the formation of the broodstock. “In 2012 in the frame of the program, pilot farm was established, which produced Summer and Gegharkuni fingerling trout species. Experimental Group chose the species which were closer to Gegharkuni and Summer trout” says Edward Gevorgyan. After a number of experiments, for being sure that the chosen fingerlings correspond to endemic fish species of Sevan, the company through the partner organizations began the fingerling production. As the director mentions, now there is a large amount of fingerlings from which a part will be moved to the farm being built in Karchabhbyur in August and September and the other part will be released into the Lake Sevan for the restoration of trout stocks. The company’s director mentions that the water of Karchaghbyur was considered to be the best for fish breeding still in Soviet Union times.